In today’s world, it’s good to know that your vendors and contractors are going to be around in a year or 10 years. Aaron’s Gutter & Restorations has been in business for 20 years, and you can count on us being around for your next project. 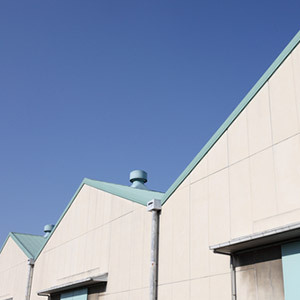 Aaron’s Gutter & Restorations provides commercial solutions for apartment management companies, restaurants, industrial parks, privately held industrial buildings and all other types of commercial establishments. Let us repair damaged areas of your building and prevent water damage in the future. Aaron’s Gutter and Restorations happily provides free estimates for all of our services, so that your company can analyze the financial aspect of our service and determine a sound budget. We know that running any business is a tight operation, which is why we’re proud of our affordable rates and our strong, dependable and enduring commercial gutters and rain gutter installation in Tucker, GA. As a locally owned and operated company, we’re excited about helping other businesses in the area succeed. We hope you’re excited to work with us as well.